The new Grande Fleur expands Huber’s product offering in the dynamic temperature control range. 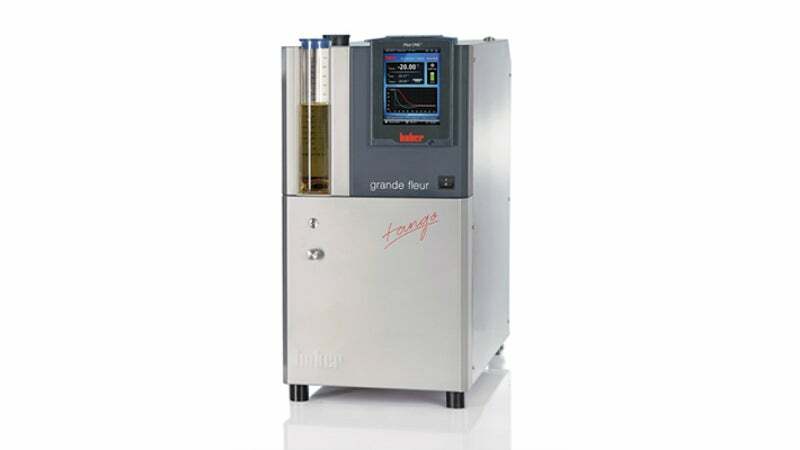 The Grande Fleur, together with the Petite Fleur, are two small Tangos and are the entry-level into the world of Unistat technology. The compact dimensions and unique thermodynamics of the Grande Fleur mean it is ideally suited for high-precision temperature control of research reactors. The Grande Fleur offers all of the great performance and features of the Unistat series, achieving unrivalled heating and cooling rates.